The musicians secret to grief. I’m an award-winning drummer. I have played for 10 to 10,000 people. Many people believe musicianship is a gift we’re born with. Maybe that is true to an extent but, for me, the reason why I spent the better part of my adult life cultivating my ability is I know it to be a way to shake free of grief. I grew up in a deeply troubled home. Addiction and abuse were in plentiful supply. It’s convenient and tidy to say that everyone deals with their pain in their own way but the reality is some people never deal with it. When it’s not dealt with, it eats away at our soul and happiness. I have learned that grief is like a rushing tide of energy and just like great rapids the tide can pull you along for a wild ride if you know how to harness it or can take you to your death. Music for us wounded souls is a way to provide a conduit for the grief. We hope that if we can control or contain in some way it’s violent movement that it will be less destructive to our being. The lucky happenstance is that others can find solace in our stories, be it painful or happy. I’ve had people come up to me and say that my music affected them in ways that were so intimate. I’ve wanted to stop and explain to them this theory but I always graciously just smile and thank them. What may be hard to put into words is their experience is tantamount to the same conduit. Allowing their pain to finally come out of its safely ensconced nest, shaking free and hopefully, finally out of the body. While you may not be a musician, there are many other ways in which you can allow space for the energy of grief to move freely, as it was designed to, and finally leaving your soul a little lighter. Love, play every chance you can, paint, write, dance, exercise, or do whatever movement that speaks to you. Just move freely and move in the love of self. There is no wrong or right way. Besides the journey is where a lot of the magic happens! My depression and two famous suicides in the same week. When I saw the story about Kate Spade and Anthony Bourdain I thought to myself, “I get it.” That is the type of depression that I deal with, its the one that says “I get it” when someone says they just can’t do it anymore. Today I am struggling with soul-crushing depression and anxiety. This post isn’t from days, weeks, or months ago. I mean today. I am in a cycle of not really eating, sleeping, or have the ability to focus because I am in the free fall of depression. Some shifts have happened in my life recently that have shined a spotlight on purposely, ignored pain I have swept under the rug and also a lifetime of horrible coping mechanisms which I thought I really have evolved from but alas I have not. 1) Reach out and bring people you trust in. They not only will listen but they want to listen. They will help you work through the obstacle course of despair. Even if its just hearing you so you can talk it out. 2) Remember this intense pain WILL PASS. You just have to hang on during the dark nights. But don’t isolate yourself because you are ashamed of your pain or sadness. People who truly love you will not judge you for your heart or your feelings. 3) Work with your closest loves and your healthcare professional on a plan. Make an extra appointment with your therapist and they will help you try to pinpoint the source of your sorrow and help to devise a plan of action. You don’t want to be mired down in the hopelessness of it. 4) Remember that its okay to not be okay at times. The narrative your pain is telling you is not the whole story and certainly not the ending. Heck many times its not even the real story at all. 5) It’s worth mentioning again, DO NOT ISOLATE YOURSELF. Your depression is counting on you to shut out the world so it can tell you all of the lies it has in store. Believe me when I say they’re all lies. Your friends will bring you truth and light, let it in. Please note that I do see a professional as well. If you are having issues I urge you to do the same. It takes constant vigilance to undo trauma and/or pain in your life. Thanks for listening and be well. We simply trust that it is there, that it is real, and it is something worth risking our very souls for. Adrian Grenier is an actor. He was most recently in the series Entourage. It was a shallow, made for cable series that showed the lives of actors in Hollywood and well…their entourage. I would guess that none of the story lines were deep nor challenging. From what I gather, this is probably what most people expect from Adrian. However, on September 11th he posted something deep, fascinating, and controversial. It went exactly like this, “RIP to the 2,996 Americans who died in 9/11. RIP to the 1,455,590 innocent Iraqis who died during the U.S. invasion for something they didn’t do.” Needless to say this didn’t end well. He received death threats, was completely bashed in the press, on his Twitter and Facebook accounts, along with people asking for his show to be boycotted. He was harassed to the point of finally taking the post down. As civilians, we can argue until we’re blue in the face about who was actually responsible for the U.S. terrorist attacks. I would bet that none of us will ever really know. Truth be told, that isn’t what this post is about. Regardless of why Adrian posted what he did, he touched on a very important truth. War is ugly and innocent people die. Many of us try to share a convenient (albeit incorrect) belief that in war there is always a clear cut “bad guy” and that only the bad guy suffers. However, if you reflect back on most wars, the bad guys are rarely punished as severely as the innocent citizens that occupy the region of war. War is nothing but collateral damage and it takes its toll on many generations to come. Once the first bullet flies, you cannot close Pandora’s Box. Adrian certainly did not word his post in the most tactful way but the message was on point. Totally innocent people have been and are still being slaughtered in Iraq in the name of retribution. Millions of innocent children, women, and men have been murdered in the name of war, just as the 2,996 Americans were on 9/11. No one life is more valuable than another. So my question is this? Was Adrian bashed because people honestly thought he was disrespecting the 9/11 victims or were people so outraged because it is true and we have no where to put such indignation? A loving God and a year of misery. I am a person of faith. More specifically, I am a Christian. Think less Jim Bakker and more tree-hugging liberal, but I digress. With this bent of a belief system, I like many people from different types of belief systems, including atheist and agnostics. I get it. 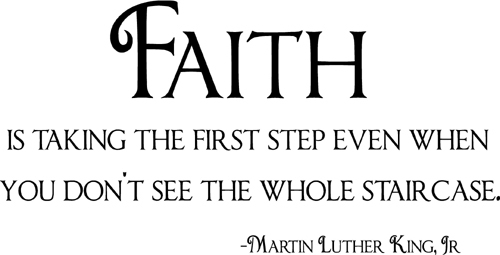 Faith of any kind takes a huge leap of…well…faith. Trust is in short supply in our current society and to trust something that you can’t touch, taste, see, or hear seems absolutely foolish to some people. I can relate because I was one of them. From “non believers” I am often asked, “how do you know?” and “how has it affected your life?” To answer the first question, I don’t know. No one does. It appears that the world has become so wildly uncertain that we have an epidemic of know-it-all(ism). Pretending to have it all figured out brings people comfort. Albeit temporary and false but it provides some immediate relief. Truth be told, I personally know preachers and lifelong believers who have doubts. It seems impossible for a thinking person not to. If someone tells you that they KNOW for sure, they are delusional or lying. It’s one thing to have die hard convictions but fully another matter to be 100% certain. I don’t think the human condition will allow it. Now for the second question, “how has it affected your life?” I can explain it simply by telling you about the year that I’ve had. In August I was part of 100’s of 1000’s of people whose homes were flooded during a record rainfall. Our basement was submerged in 3 feet of water and sewage. We lost about 90% of the contents which included all of our baby & wedding photos, some musical instruments, washer, dryer, furnace, hot water heater, etc. There is far too much to name. It rocked our world. We couldn’t live in our home for three days and had to pay well over $10,000 simply to make it livable. Anything that the water touched had to be thrown away. We couldn’t afford to rebuild it back to the way it had been, but we were simply happy to have made it through all the financial hardship. Fast forward to a month and a half later. It was a lazy Sunday evening. I’d spent the day mostly relaxing and felt pretty darn good. Without warning I sat up from the couch and my heart essentially went into atrial fibrillation. An ambulance ride and a hospital stay later, I was told that I had a heart problem and I needed to change several aspects of my life. Needless to say, it was one heck of a year! So how is this reassurance of a God? Why wouldn’t my all powerful God come and save me from all of this? Honestly, it’s a tough and fair questions but I do know that even from a biblical point of view it is promised that life will not be easy. However, what is so different now, more than any other point in my life, is that all of this mess didn’t make me bitter, it made me empathetic. I would like to take credit for this and tell you that I am an empathetic person by nature but it’s simply not true. In the past, if even a minor indiscretion happened in my life, I would have been bitter and angry. I would have used it as an excuse to behave however I felt but there is a transformation that takes place in your heart and mind when you start to try to understand the heart of Jesus. Yep, I dropped the J bomb. But even if you don’t believe that he is the son of God, he was a pretty cool dude with an amazing belief system. Knowing the heart of a person like Jesus does something to your soul. I am proof. With each passing hardship I became more empathetic. I kept waiting for bitterness or resentment to creep in but it simply didn’t. I am human and have most certainly had moments of anger or confusion but the overall take away, daily, is that I have so much more empathy for people who have suffered through these things and the like. I actually faithfully pray when I see an ambulance transporting someone and take the time to thoughtfully listen when someone is telling me about their hardships. That was the long answer to the question. The short answer? I try to sincerely not live by dogmatic rules and pull out convenient scripture to suit my life. By really trying to emulate the heart of Jesus, it changes who I am as a human being for the better. I can’t recall a single other thing that has done that for me. Is your friendship based on reality or history? We all envy those stories of lifelong friendships. “So-and-So” has been friends with “So-and-So” for twenty-plus years. Collectively, we celebrate these achievements knowing firsthand that friendships can be hard. I know this feeling all too well. A few years ago I lost what I thought was a very close friend. We had weaved in and out of each others lives since high school. It is certainly a fair argument to say that we have a limited friendship pool as children and gravitate to whomever lives in the same neighborhood out of necessity, especially pre-internet days, much like mine. However, make no mistake, it wasn’t simply a matter of convenience, but we were steeped in common interests. We grew up in the same small town, both were musicians who talked about nothing but music, and shared many other interests. As life pressed on , and our lives took us into very different directions, we managed to not only stay in contact with one another but stay involved in each others lives. She stood up in my wedding, as I did hers. We spent many late nights sharing our ambitions and vision for our lives. This trend stayed on a steady clip well into our 30’s. However, life can get messy and ours did. We both experienced intense personal turmoil; one a divorce, the other struggling with chronic depression. Happily I report that we both made it through our difficulties with our lives intact but changed forever. We no longer related to one another in the same way but we were still great friends. Or were we? One day, we had a minor argument and without warning she just up and left my life. Not only did this sting, it hurt! Her life took a sudden shift and there was no place left for me in it. I lived in the grief of this revelation for a few months, mourning the friendship. One day, while I was pondering it all and wondering what the heck happened, it dawned on me, we had nothing in common anymore. For the last several years we had a relationship of merely history. I was blown away by this reality because historical friends are so comfortable. They are effortless, easy, and in most cases, easy to misconstrued. 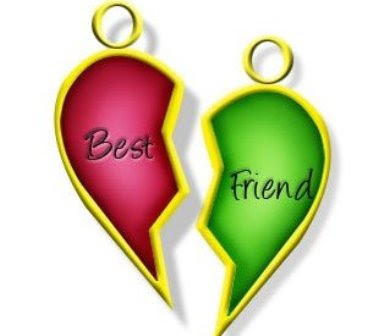 Not only was this no longer a fit for either of us but I realized I hadn’t enjoyed the friendship for quite some time. She could no longer be a good friend to me. We were simply too different. This didn’t make her bad, wrong, or evil. It simply was what it was. There was nothing left there. Think about how hard it is to keep a marriage together when two people are (hopefully) constantly growing and it is our job to keep coming back together. It’s no wonder we don’t always have the wherewithal to weather that through friendships as well, at times. Coming to this reconciliation of my mind and heart made the transition of letting go that much easier. I was no longer hurt. Relief would probably be a better description. Was this situation salvageable? Possibly but probably not. Is it goodbye forever? Maybe , but maybe not. Life and maturity have taught me to remain open to any possibility. However, it is a lesson learned. It is important to look around you to see exactly how fruitful your connections are with the ones you lend your valuable time to. If they are not what you need them to be, ask yourself “why?”. Maybe you are holding on to some friends simply out of convenience or history. Ending a relationship is never easy and it may not even be necessary to cut all ties but it is important to live in reality. It helps to manage expectation and cut out any of the false illusions of friendship because you yourself and the people you care for deserve better. It really doesn’t matter how you translate or paraphrase Jesus’ final coherent words according to the Gospel of Matthew—it still sounds agonizing. It is the cry of a man at his end. It is the cry of a man who crossed the line from hopeful to hopeless. It is a line that a lot of us play hopscotch with as we go about our situations in life. We feel full of hope one minute, then a bit of bad news or an unfortunate incident sends us reeling into hopelessness. Does it matter that Jesus can say: “been there, done that”? I believe it does, but before I explain why let me explain why I think Jesus went from being hopeful to hopeless and wasn’t simply quoting the first line of Psalm 22. Jesus was full of hope because he knew he was part of something big. Scholars will debate until they are blue in the face just how much Jesus knew and when he knew exactly what he knew. I think it is suffice to say he knew he was part of something big. He may have even known that the something big had to do with an apparent sacrifice—perhaps even a Father sacrificing a Son. But Jesus was familiar with Scripture and he would have known the story of Abraham and Isaac (Gen 21-22) like the back of his hand. In that story the apparent sacrifice went all the way to a knife at the throat before God intervened and provided an alternative to Abraham sacrificing his son, Isaac. Therefore, even when things looked difficult: friends sleeping when they should have been praying, the beatings, friends fleeing and denying, and even to the crucifixion Jesus could have been hopeful based on what happened with Abraham and Isaac. However, Jesus gets to the point when he realizes the last second has passed—there will be no stay of execution and there will be no ram caught in the thicket. Jesus is going to die. No doubt that Jesus may have recalled Psalm 22 as he crossed into hopelessness, he probably was very familiar with it, but I think the words also carried meaning. He felt hopeless. Where was God? Jesus had been faithful all the way to the cross and now he was dying—why had God forsaken him!? My son was severely injured in Iraq when the Humvee he was driving hit an IED. As I sat with him through weeks of being in a coma and many, many months of recovery I always found comfort in talking with parents who had a child in a similar situation. They understood the pain, anger and grief—we had that in common. Jesus has promised to always be present to us; his presence is real and close even though at times it seems quite distance. When I am slipping back and forth between hopeful and hopeless I am often able to find great peace in Jesus being present with me because he knows exactly what I’m going through. The touch of his hand through a flower, the whisper of his voice in the wind and the steadying strength to take another step all gives me hope when I feel I have been forsaken. Dr. Terry Clees is a pastor of a church in Adrian, MI where he has served the community the past eight years. His hobbies include weightlifting, coaching wrestling and writing. He earned his doctorate degree at George Fox Evangelical Seminary where he studied spiritual formation. A day late and a dollar short but here are my thoughts on Mother’s Day. While Mother’s Day is a lovely day for many, it is dreaded by some. Greeting card companies, businesses, and the media all make it into a colossal deal. It’s the one day a year that mom gets to be doted on. In kind, local businesses are hopping. Farmers markets are packed with smiling faces, restaurants are bustling with families dressed in bright, spring colors, and just about any other place that mom likes to be is a hot spot. The only way you can avoid the dogmatic suggestions of how to spend Mother’s Day is to avoid going outside, watching television, going on the internet, or interacting with other humans. On second thought, maybe staying in bed might do the trick. So why do some people have the blues on Mother’s Day? Mother’s Day, in one way or another, affects everybody because we all have mothers, but for some, it will bring to mind deep hurt. The parent/child dynamic can be complicated, thus bringing up a wide array of hurts. If mom is dying, or is deceased, it can bring about aches of missing, longing, and loss. Adopted children who have never known their birth mother might have a difficult time celebrating even if they have an amazing relationship with their adopted mother. For some, it can be a reminder of how rocky the beginning of their life was, bringing up feelings of abandonment. However, the one segment of the population that is usually left out of the Mother’s Day blues equation are ones who have a strained relationship with their mother due to mental illness, moreover, their mother’s mental illness. Depression is affecting an ever growing number of the senior population and unfortunately many of them subscribe to the “don’t ask, don’t tell” approach to their depression. As many of us know, this is a recipe for difficult relationships, and sadly, even more serious problems. For many, they would rather not get into it because it brings about an emotion that we all hate, pity. Random people have pity for you, for your family, and what feels like, for your very existence. It’s an awful look to get, unmistakable, and is tough to shake off. We can all relate to the pity face, whether we are the recipient, or the perpetrator. This pity stems from a fairly common shared belief in much of the world; the belief that we should have a fantastic relationship with our mother, and if we don’t, then we are bad people. I’m kidding about that last line but you get the idea. Also, a helpful tip is that empathy is far better received than pity. How can we help with the blues on this day? If you are the person asking what someone is doing for Mother’s Day, and they give you the, “I don’t know” answer, don’t press. If you are close, and at a later time you would like to ask about it, please do, but don’t expect a dissertation on it days before Mother’s Day. It is painful, for many, to talk about. If you are the person being asked and you have an tenuous relationship with your mother, it is perfectly OK to have the conversation with some folks. Its important to talk about our emotions but its equally important to talk about them with only a trusted audience. This is not only a painful subject but its also partially the story of someone else, your mother. It’s important to respect and honor privacy by not telling too much of their story by way of yours. So how do you process these emotions the day of? One option is to hide in your house, feeling sorry for yourself, but another is to share the day with another woman who needs it. With even a minimal amount of searching, you can find other people who are hurting over that day as well, and would love to be taken out. Women who have children who live far away, ones who have lost their child, or even grandmothers whose children will be spending the day with their children are likely to be very receptive to a fun day out. It is especially important for people with fractured families to form chosen families. After all, family, regardless of their origins, is the most important of all. I’ve often noticed that when some people are in the throws of depression, everything around them is a mess. Their car, home, finances and their appearance are often disheveled, at best. I know this was the case for me. My car was littered with debris and I would reason it away by thinking that I was far too important and busy to be bothered with it. I never invited people over because the thought of organizing my home enough for company was far more than I could bare. I remember being exacerbated at one point as I cried out, “WHY CANT THINGS JUST BE CLEAN? !” While I tried to convince myself that I was talking about the spaces that I occupied, I clearly meant the space that occupied me. My heart, mind, and soul were just a mess. We spend a fair amount of time trying to convince ourselves and each other that life is black and white. That there are rigid definitions for right and wrong. Once we possess these magical set of rules, that our lives will be easier and if we follow those to the letter. That we will have a clean slate. There are a few problems with this scenario: reality, human involvement and mercy. Life is messy. It’s an old adage and may sound cliché but it is true! We are not God, nor do any of us possess the ability to see the future (sorry to all of you Sylvia Browne lovers). You can spend your time on earth trying to control every aspect of your life, relationships, and interactions but the truth of the matter is that you will simply end up miserable. I personally have never been more anxiety ridden and depressed than when I tried to control everything. Lets face it, when humans get involved with anything it almost immediately has the potential to go sideways. Ego, immaturity, societal expectations, and garden variety human behavior pollutes our good intentions, often times making them ugly. For people who want to control life by keeping it clean, mercy is a problem. Many believe in justified retribution. That if “this” doesn’t = “that” then punishment should be “this”. Mercy and especially God’s mercy doesn’t work that way. Mercy provides grace to anyone regardless of their offenses. It requires allowing space in your heart to empathize with the brokenness inside another human being, even in the face of some horrific things. In my own experience, mercy was extended to me which gave my the capacity to grant it to others and it has done nothing but enrich my life. It takes a willingness to want to reshape everything that you thought you knew about the world but in the end it is a game changer. Even, dare I say, a life changer. So try it. Even for one week. Try to give pure mercy and understanding to people who rub you the wrong way or derail your plans. Instead of trying to fix or control all things, show some understanding and that same sentiment will be returned to you triple fold. Book Signing! Saturday, May 17th!